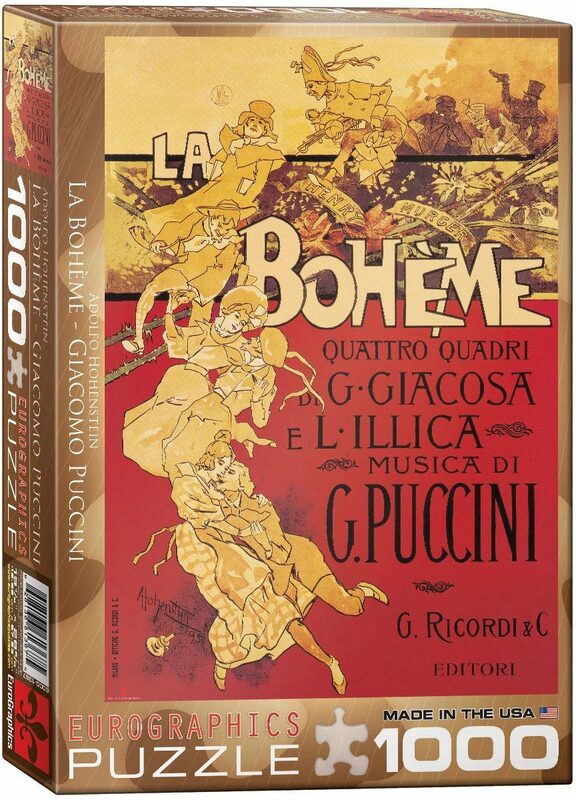 La Bohme is an opera in four acts by Giacomo Puccini. The world premiere performance of La bohme was in Turin on 1 February 1896 at the Teatro Regio and conducted by the young Arturo Toscanini. 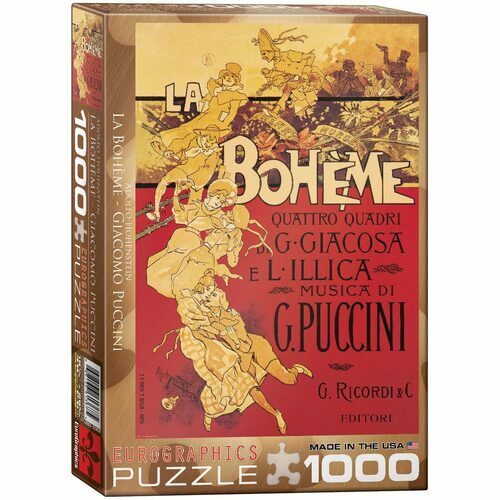 Since then La bohme has become part of the standard Italian opera repertory and is one of the most frequently performed operas internationally. Strong high-quality puzzle pieces. Made from recycled board and printed with vegetable based ink. This superior quality puzzle will delight and educate all at the same time.